Seen at Kiev Landscape Park. 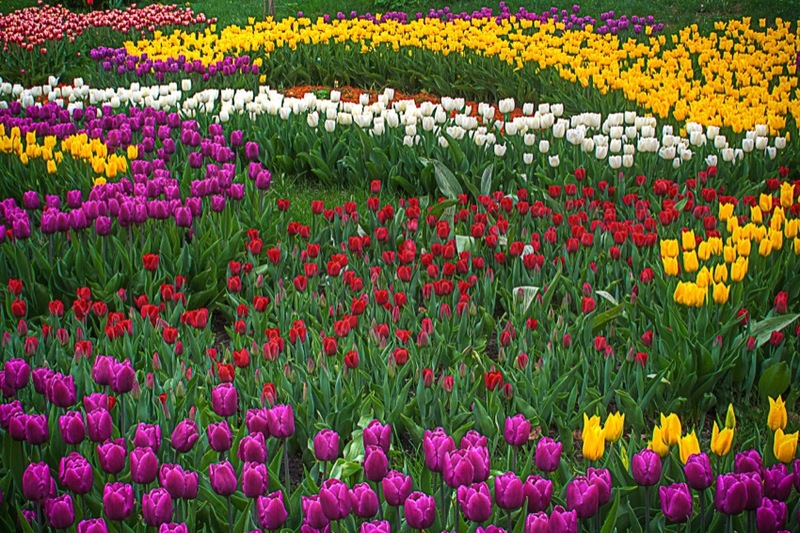 Since these tulips are not for sale, only display, they are planted so that not all bloom at the same time. So it could have been better!